Using the Dynamic Listening System, Using the Dynamic Listening System, I have personally helped people suffering from symptoms of mood disorders, mild post-traumatic head injury, and lack of joy/motivation. Most of my clients overcome many, and sometimes all, of their symptoms – a high percentage no longer needing their medication. • Children with diagnosed with disorders of attention and auditory processing difficulties. • Children with learning problems and difficulty with listening and sustaining attention. • Children with sensory processing difficulties and developmental delays. • Children and adults desiring improved concentration, attention to task and focus. • Children and adults who would benefit from improved speed of language processing, or have speech and language delays. • Children and adults who would benefit from improved memory. • Children and elderly who would benefit from improved balance and coordination. • Children as young as 2-1/2, with no age limit for adults. - who have low energy. Combining a listening protocol with therapeutic services, clients can make changes very rapidly. Seeing the joy, energy and freedom from many disabling symptoms is highly gratifying. That same reward is experienced by the more than forty international Dynamic Listening Systems practitioners around the world! 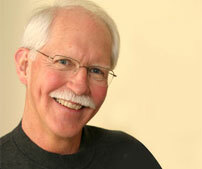 Ron Minson, MD trained personally by Dr. Tomatis. Dr. Minson has spent the last 14 years practising and refining Dr. Tomatis’s ground breaking theories.